In the class, you will learn how to build wearable electronics and program interactions using the Arduino software. Perhaps you know how to sew but have always wanted to learn more about electronics. Or, you have used a microcontroller before but want to know what conductive fabric is all about. In this class, we will cover the hardware, software and the sewing that it takes to start you off and running towards building interactive and well-crafted projects. You will learn techniques and apply new concepts by building a sewn circuit pin, two kinds of soft switches, a flex sensor and by making your microcontroller modular. You will also learn about digital and analog inputs and outputs through building the two main projects: The Hi-5 Collector and the Slouch Alert. The Hi-5 Collector is a project that makes social interaction game-like by introducing a goal achieved by collecting high-fives. The Slouch Alert project uses a handmade sensor to read a body's movements and notifies you when you are slouching. As a bonus, you will also learn how to easily trigger sound clips using the Slouch Alert circuit! 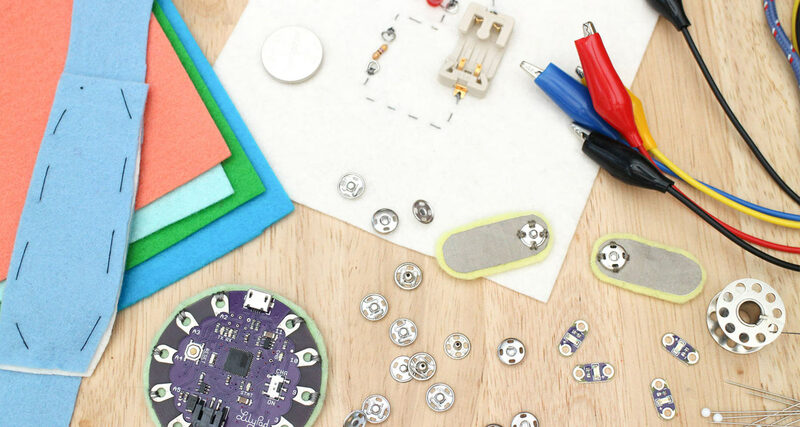 If you've used the skills you've learned in this class to write a great instructable, try entering it in one of our contests, like the LED or Wireless Contest for a chance to win some amazing prizes! Lara has been building soft circuits and wearable electronic projects for almost 10 years. Some projects include musical interfaces, LED-encrusted products and lots of research and experimentation with techniques and materials. She has taught workshops at various conferences, festivals, and universities and currently teaches a class at California College of the Arts called Wearable and Soft Interactions. What is a circuit and how do you read resistance and voltage with a multimeter? Learn what a microcontroller is and the concepts you need to know while working with one. Learn how to connect components together when building wearable electronics. In this lesson, you will upload your first sketch to the microcontroller and learn how to change the code to get different results. Learn how to read the switch you made and turn on an LED. In this lesson, learn how to transfer the final circuit to fabric. This is the final lesson for the Hi-5 Collector project. Learn different ways to cover and protect a soft circuit and how to diffuse a light with common craft materials. Get out there and get some high-fives! Learn how to fade an LED by closing a switch and how to use the vibe board. In this lesson, you will learn how to experiment with sensor placement in order to read a body's movements and choose the final placement for the Slouch Alter project. 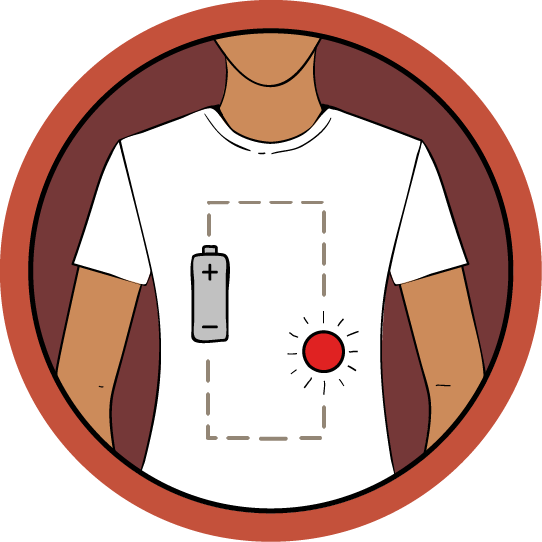 In this lesson, you will transfer the Slouch Alert circuit to a t-shirt. Instead of using conductive for the traces, this time you will learn how to build the circuit using conductive fabric. This is the last lesson for the Slouch Alert project. Here I demo the Slouch Alert and share some bonus material on how to turn your LilyPad USB into a keyboard to get it triggering some cool sounds!